Who’s up for a loonng walk? The fantastic fireworks heralded the start of the 99th VIER DAAGSE festival with a huge bang!! 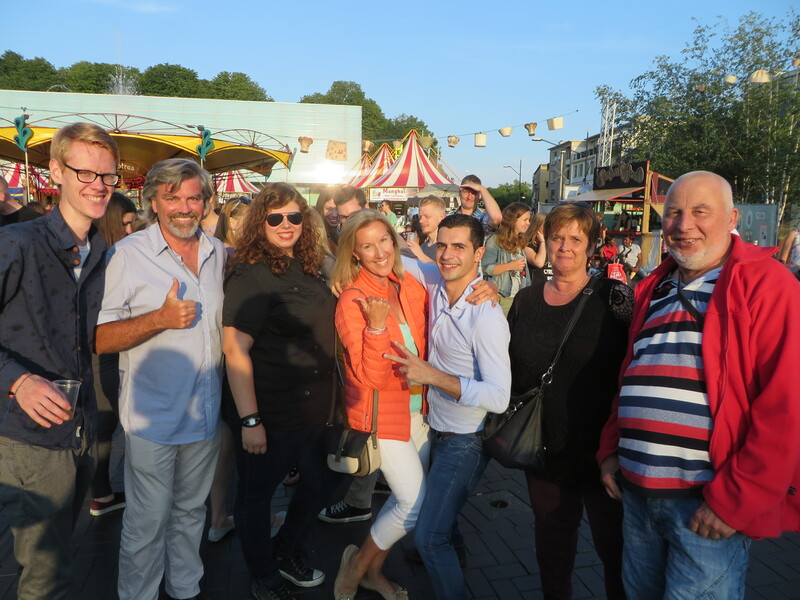 We caught the bus to town with Jan, Netty and Maaike our Dutch friends, and we were a part of this amazing spectacle! 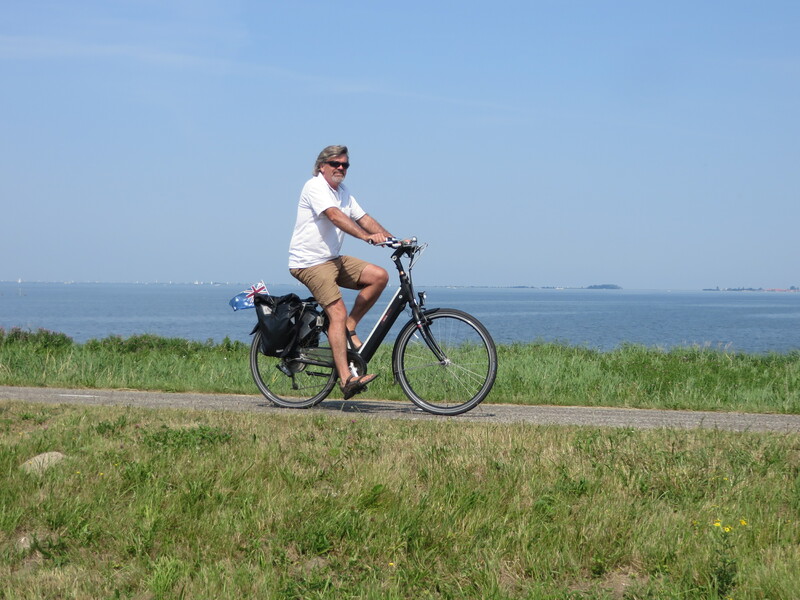 Having purchased a terrific book called “Discover Old Holland” we set off on our bikes to explore some of its cycle tours on the hundreds of kilometres of cycle paths & trails of Amsterdam. In no-time at all we are in a peaceful haven, leaving the big city behind us! 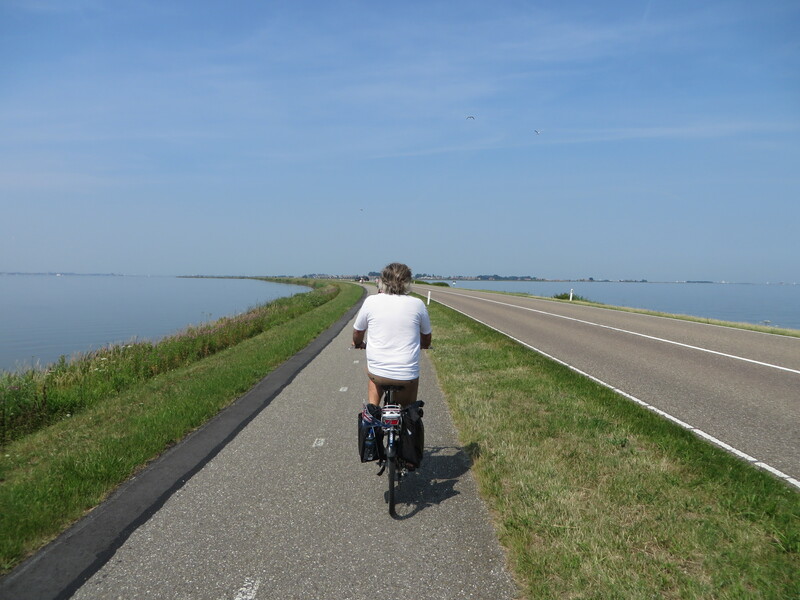 A vast flat “Waterland” stretches in front of us! 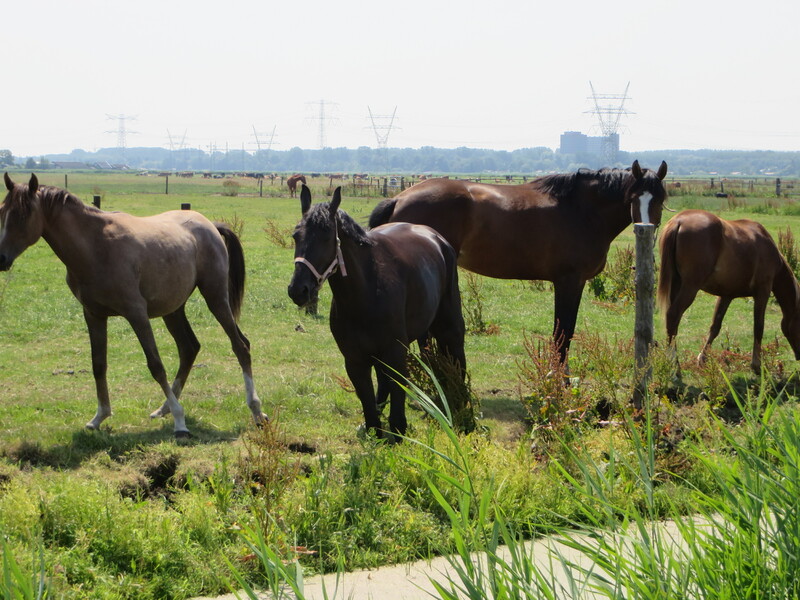 We cycle along winding Dijks (dykes – raised embankments to keep the water at bay), old stream channels, endless grasslands and wildlife canalside – grey heron, horses, calves & cattle. 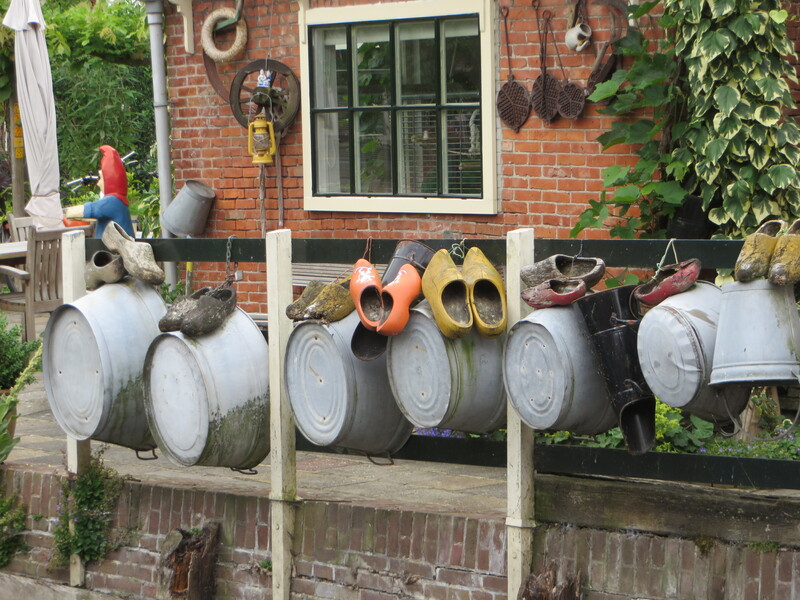 During our walking and cycling “tours” in Holland we have often been rewarded by interesting, amusing and colourful sites that remind us of “true” Holland . . . .perhaps in a bygone era. 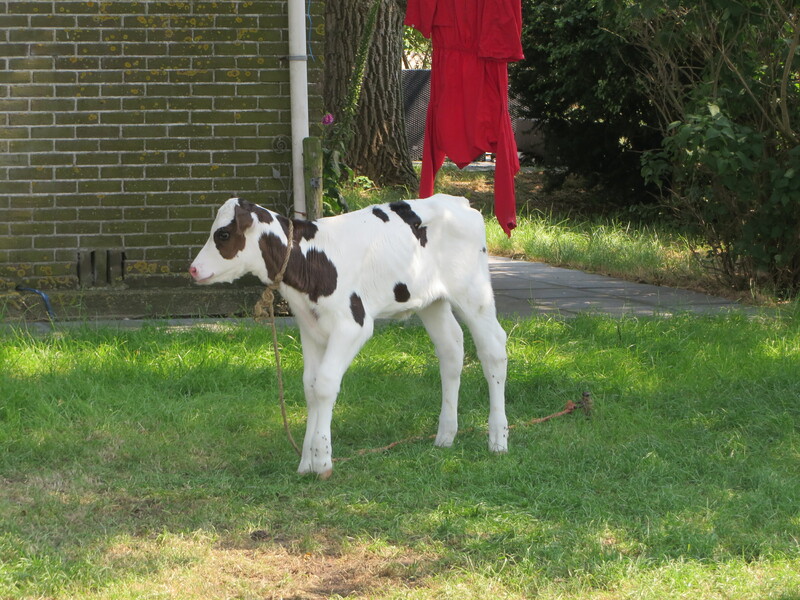 A short 30 minute drive, north of Utrecht, we find ourselves in the hustle and bustle of the city of Amsterdam. 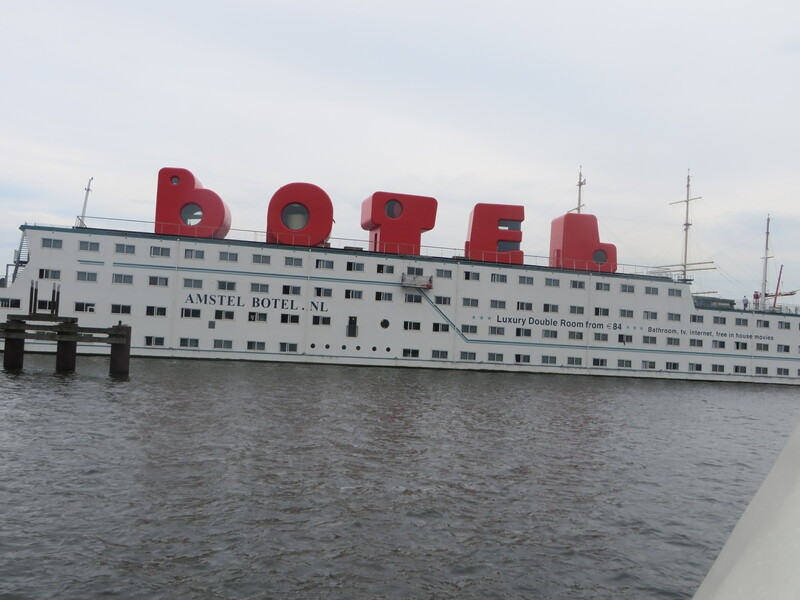 Bruce’s home for the next five days is only a 15 minute, free, crowded ferry trip across the river from Centraal Station, in the NDSM WERF (wharf) area. The area is the former home of the NDSM shipbuilding company. Lonely Planet now describes the area as having a post apocalyptic vibe ?!?! There are about 100 motorhomes in this E25 per night “camping” spot – really it is a large, secure car park with electricity, water and dump facilities. The famous floating BOTEL is also in this area. 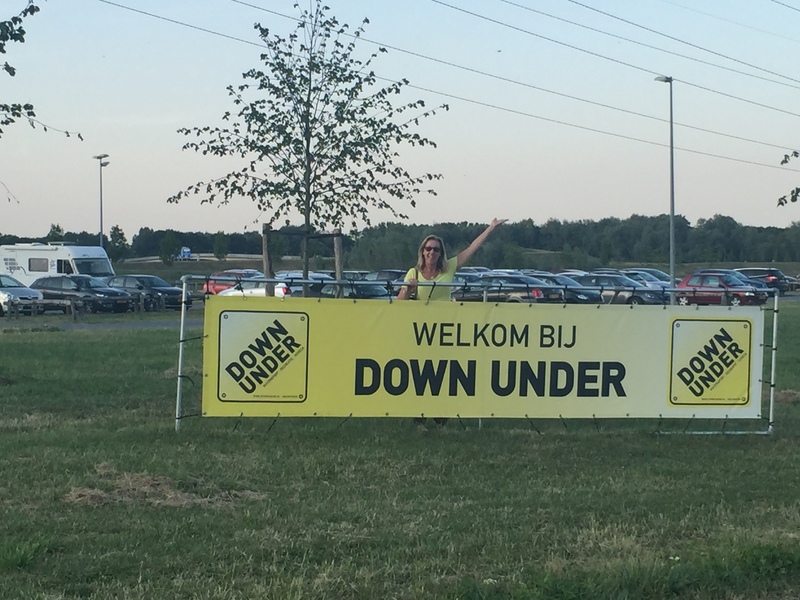 Stage 1 of Tour de Holland (Bev and Mark it’s only entries) left the “Down Under” camping ground in bright sunshine on July 6th . . . . to celebrate Bev’s birthday. 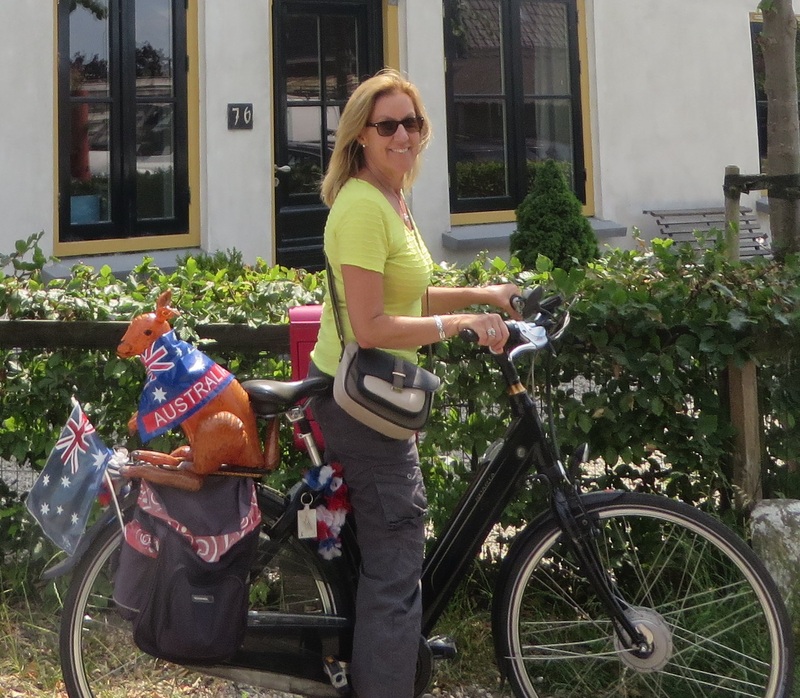 We embark on our personal Tour de Holland!! Why not ? ? All pumped up after watching the professionals in Utrecht, we set off in hunt for windmills & tulips – and anything else interesting!! 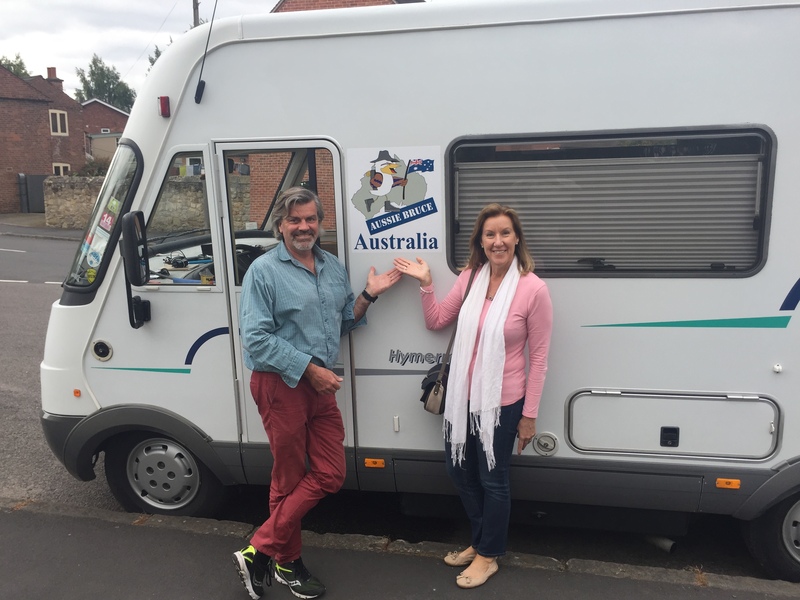 Excitement as Australia wins Stage 1 – Tour de France! 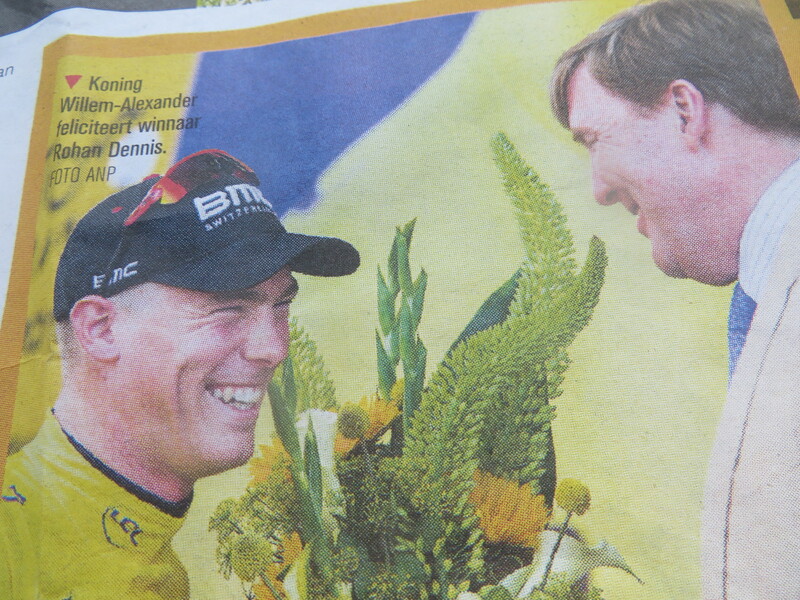 Congratulations Rohan Dennis from Australia!! Winner Stage 1, Individual Time Trial – Tour de France in record time, becoming the first wearer of the Yellow Jersey for 2015! Come on our Canal Cruise in Medieval Ghent !! 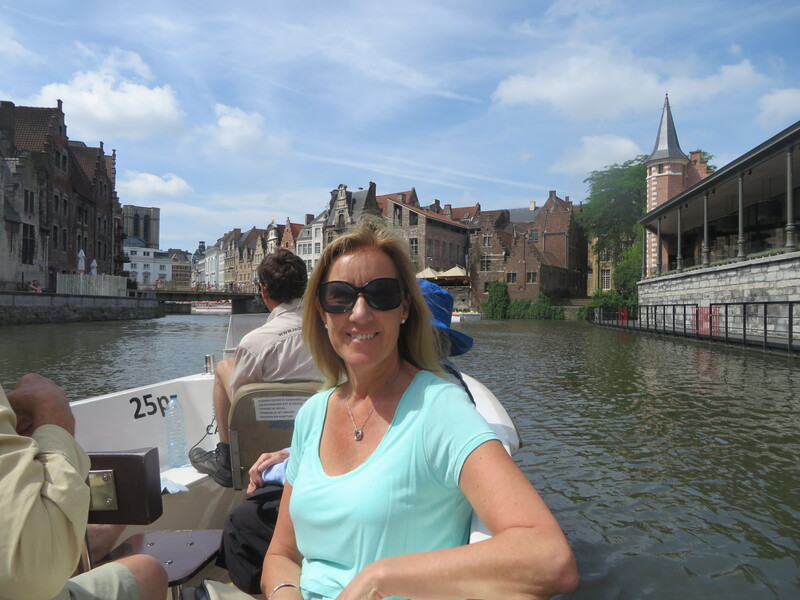 A highlight of any visit to Ghent has to include a canal cruise… come on board with Bev. 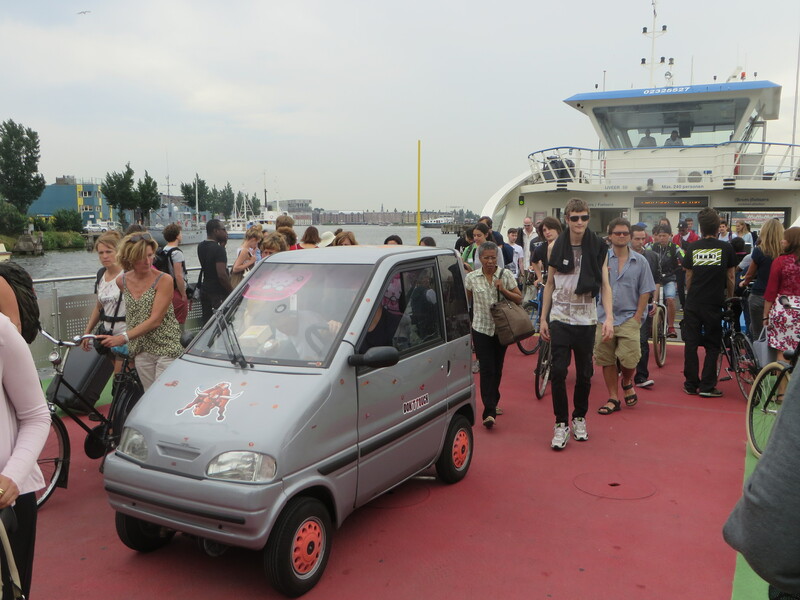 Beer, bikes, boats …… and Belgian chocolate! 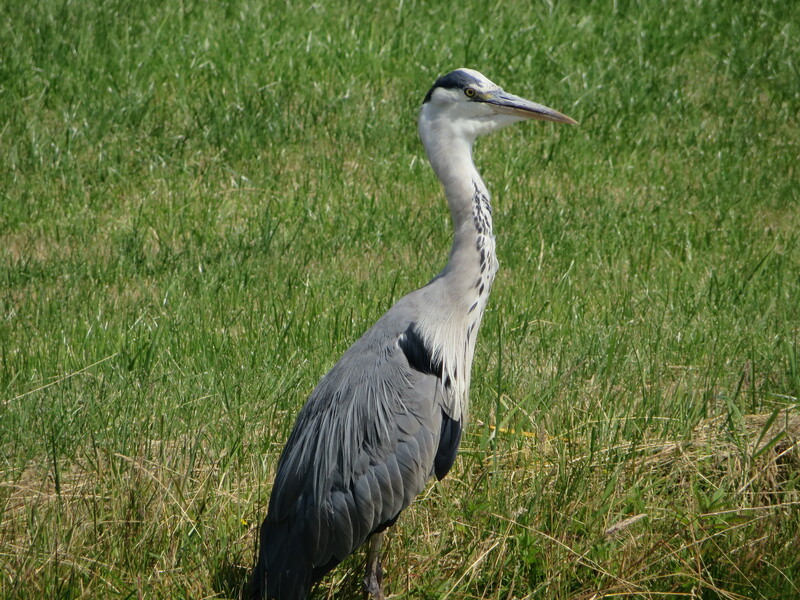 D riving leisurely for 3 hours through interesting rural French villages on smaller roads we passed the “Belgie” sign!